Myanmar’s long history of military rule has been broken as members of Parliament today elected Htin Kyaw as the President of Myanmar. You can read about Myanmar’s historic elections here. A historic victory for the National League for Democracy (NLD) led by Aung San Suu Kyi in November prompted many to wonder if the military was finally ready to hand over power. As Kyi’s children hold Britishpassports, constitutional provisions ensure that Aung San Suu Kyi cannot be elected President and her close ally Htin Kyaw was elected instead. 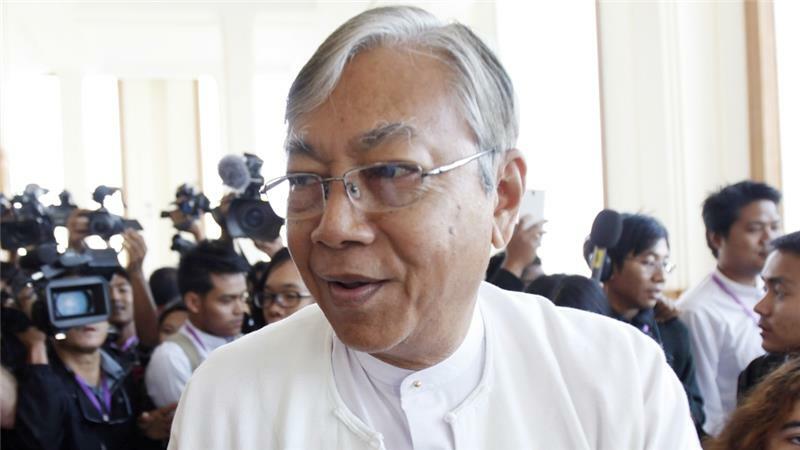 Htin Kyaw will take over from Thein Sein who is backed by the military and ruled for five years. Aung San Suu Kyi has said she will be above the President as speculations remain rife that the office of Prime Minister will be created for her to fill. Myanmar’s military remains very powerful, constitutionally holding 25% of seats in the legislature.